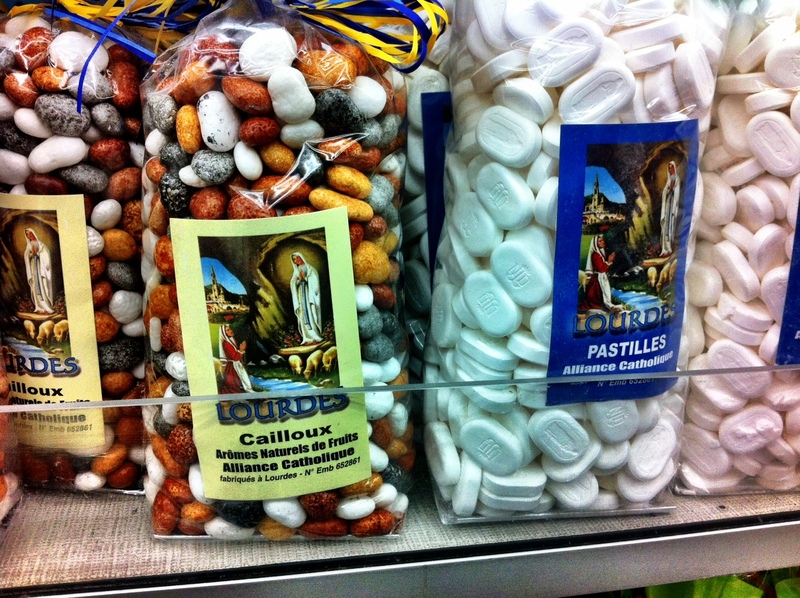 Can anyone explain why fruit flavoured sweets in the shape of stones, or mints, have to do with the vision experienced by St Bernadette? Or Lourdes. Or anything, other than taking money off the gullible? Every shop sells them, so there must be a meaning that escapes me.